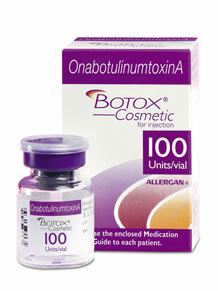 The list of competitors to the game leader, BOTOX®, is growing, but are any of the new products actually better? Or are all the new choices just making it more confusing? Read on for more about BOTOX, Dysport®, and Xeomin®. 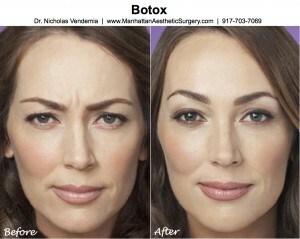 Dr. Nicholas Vendemia offers BOTOX for women and men in the New York metro area. We encourage you to contact us online or give Manhattan Aesthetic Surgery a call at 917-703-7069 to schedule a visit. Dr. Vendemia is a leading cosmetic surgeon in New York City with a reputation for custom care and beautiful results. More and more women in their mid to late 20’s are turning to BOTOX to prevent permanent wrinkles, and they may not be as crazy as you might think. A recent study published in theArchives of Facial Plastic Surgerylooked at the long-term effect ofBOTOX on facial lines in identical twins. One of the twins received regular BOTOX injections to her glabellar region (aka the area between your eyes), forehead, and crow’s feet for 13 years. At the end of the study, the twin who received Botox looked younger and did not have the visible glabellar and forehead lines that the “non-botoxed” twin had. There was also a significant reduction of crow’s feet on the twin who received treatment. BOTOX injections are very fast and very easy! The entire procedure from start to finish takes about15 minutes, and you can jump right back into your day after you finish. How Long Before BOTOX Starts to Work? It usually takes 3-5 days for the full effect of BOTOX. You’ll know when it starts to work when you start to feel a slight tight sensation in the area that was injected. Botox treatments last 3-6 months. If you are getting BOTOX for the first time, your first few treatments will likely last closer to the 6-month mark.